"There are leaking balconies all over Melbourne and the multi story apartment boom is contributing to this defective housing crisis" . This unfortunate statement was taken from an article titled “Melbourne’s high-rise nightmares taking a toll on residents and investors” from The Age Melbourne 25th September 2016. Basement carpark - concrete leaching to ROOF water leaks. 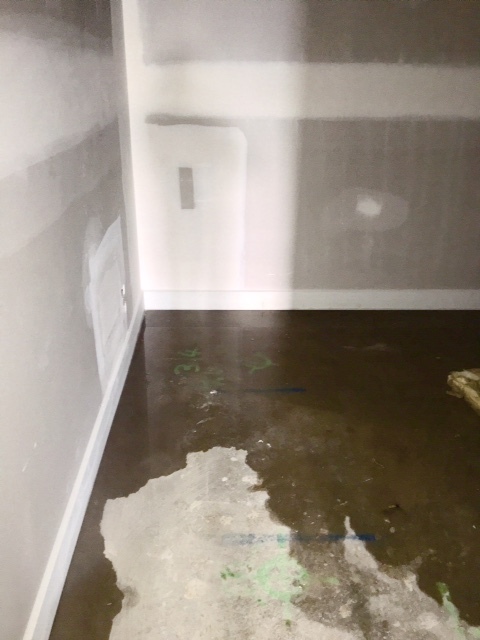 Water damage from a leaking balcony above. This has lead to the common assumption that for many multi-level balconies "proper waterproofing membranes are not installed." 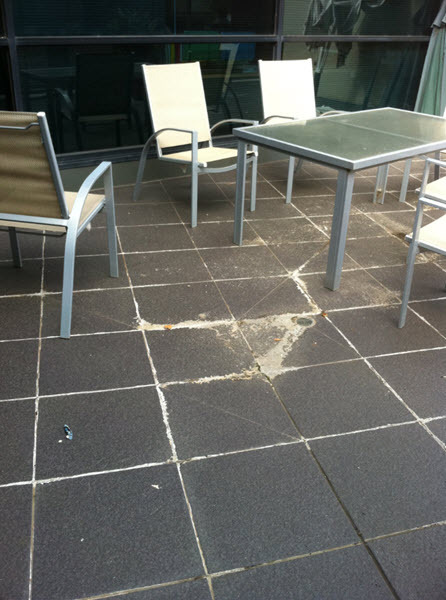 Accumulation of calcium salts, known as “Efflorescence” occurs on balcony surfaces only in the presence of water. 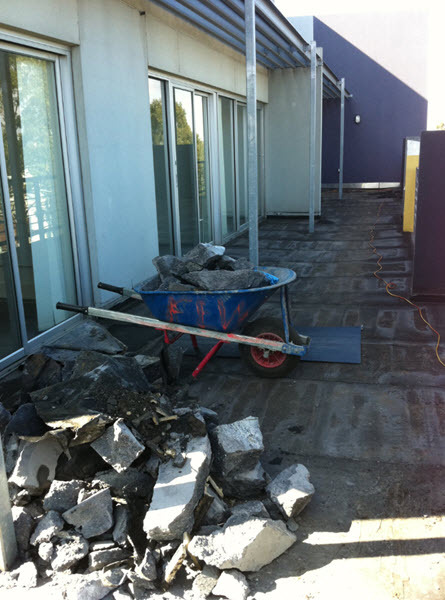 Balcony repairs - complete strip out and major structural building works due to waterproofing failure and subsequent water leaks. Is the determination to push construction projects to meet demand a disaster in the making? 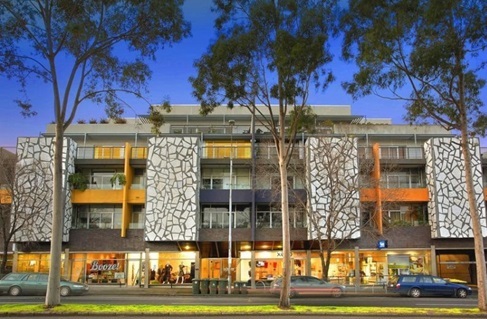 Experts warn that cutting corners to lower costs and meet targets are creating substandard homes and apartments. 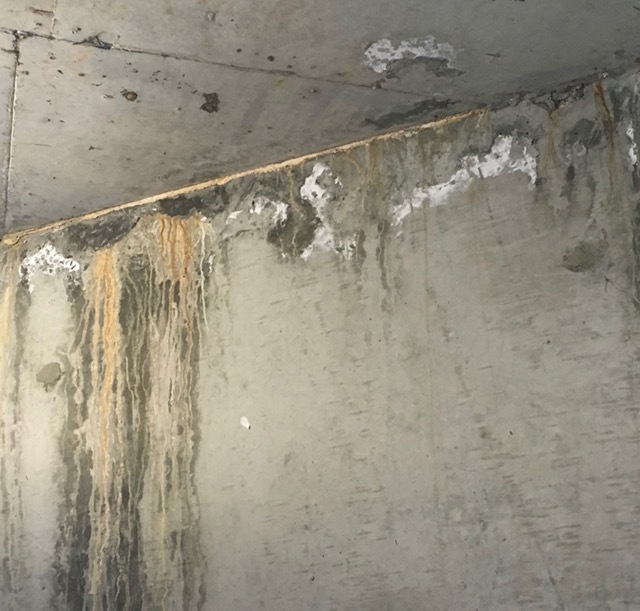 Waterproofing failure, in particular balcony waterproofing, can lead to significant damage and even compromise the structural of the building envelope itself. Many experts believe a balcony collapse that caused six deaths, due to exposure to water. Balconies and walkways are exposed to the destructive forces of the elements: ­ rain, wind, sunlight, and freezing conditions. 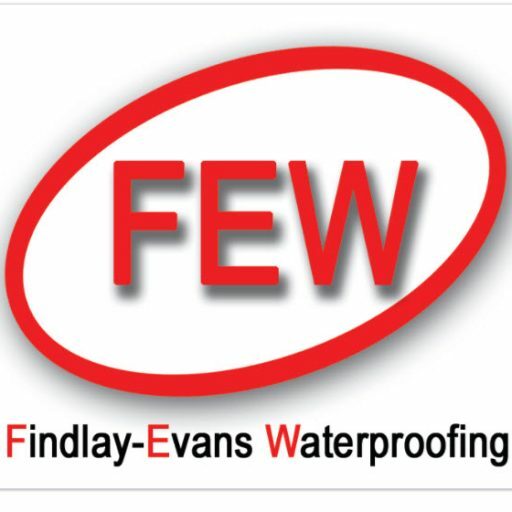 At the time of membrane installation if there is inadequate preparation & detailing between the balcony to wall interfaces, water ingress will occur with time. 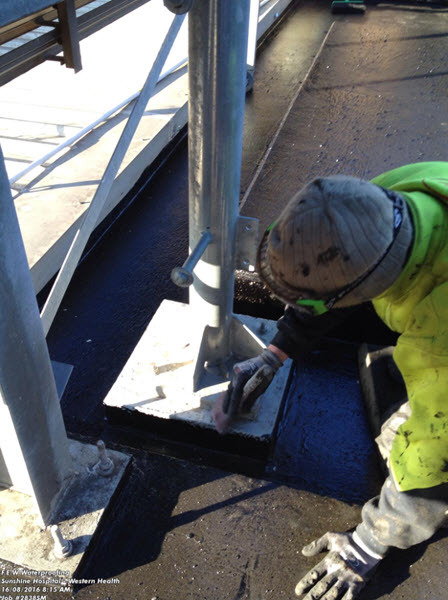 Railing post and balustrade penetrations also requires detailed preparation to prevent water leaks. As evidenced in the article above, developers & builders at the time of construction may use cheap (inferior) materials to save money. 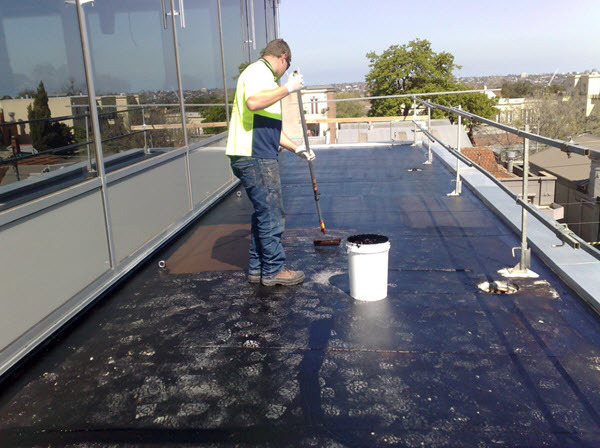 There are many waterproofing products on the market, however professional waterproofing contractors will choose the best product for the individual project. 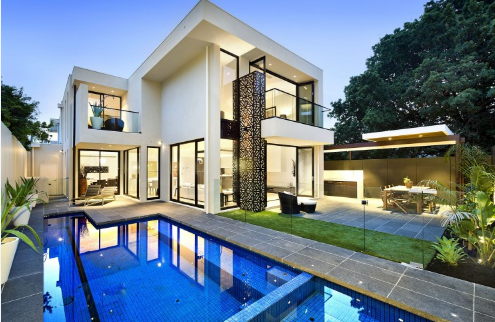 Selecting the best waterproof product – selecting cost effective & long life membranes suitable for balcony design and the relevant conditions. 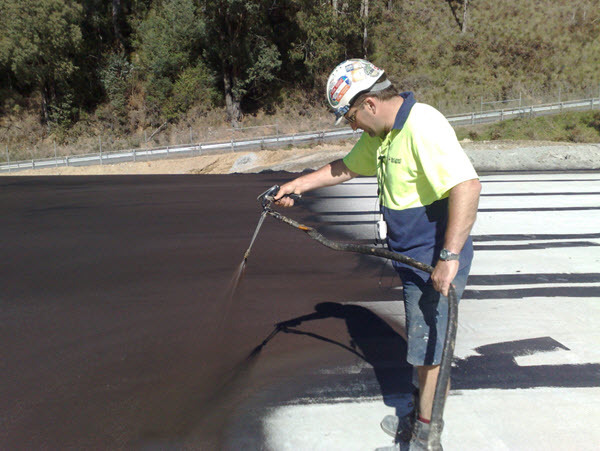 Correct membrane installation is just as important as product selection i.e. detailing to make water tight all balcony surfaces, interfaces, and penetrations. 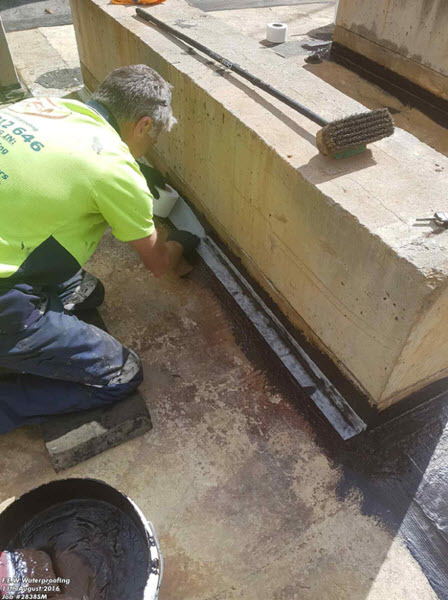 Balcony waterproofing membranes must be capable of bridging cracks and joints of the underlying substrate, whether this cement sheeting, sycon board or others. 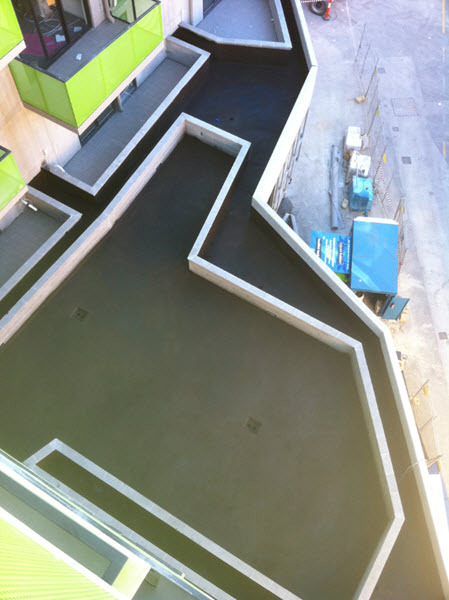 Membrane flexibility is an important criteria as the waterproofing will need to move with the normal contraction & expansion of the balcony envelope. 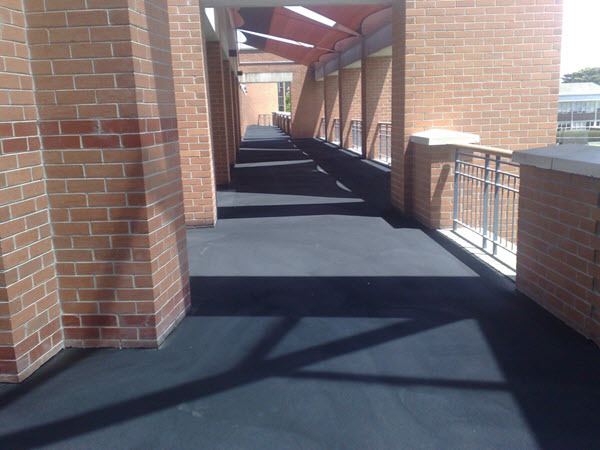 Balcony coatings with the ability to withstand “ponding” water. 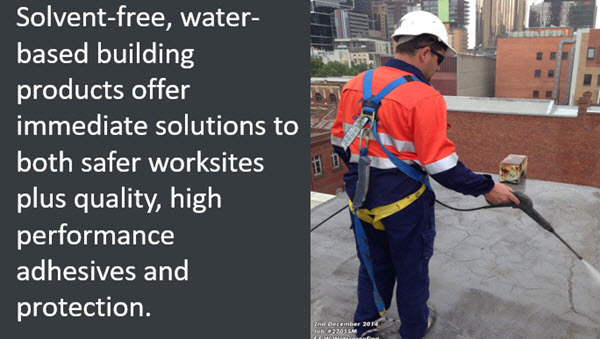 Remedial waterproofing projects need fast & efficient installation - causing minimal disruption to building occupants. 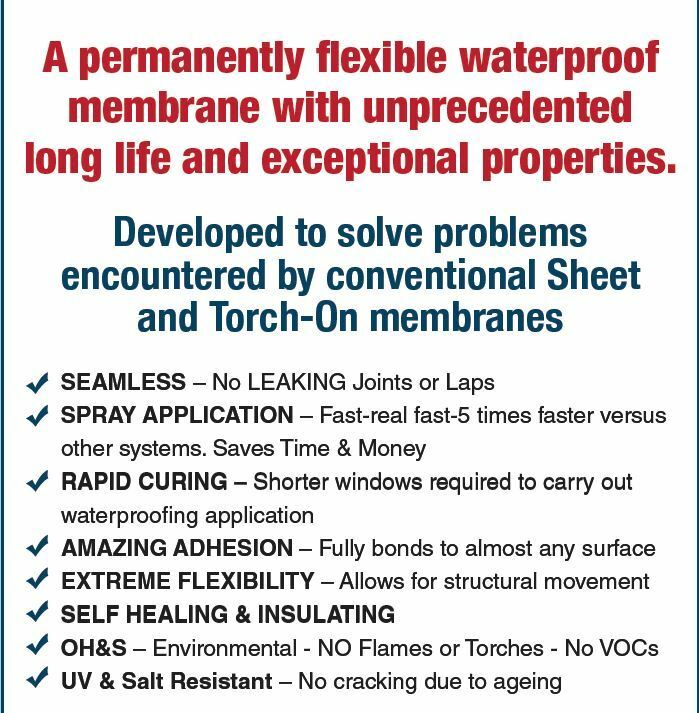 Spray Apply Liquid Membranes are up to 3 x times faster installation compared with torch on & sheet membrane applications. 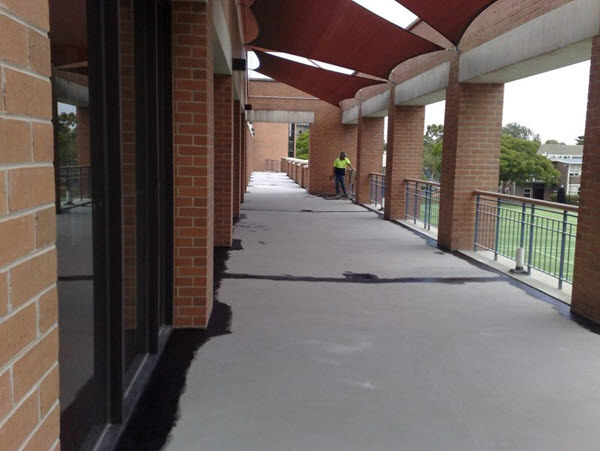 Liquid Applied Membranes are our preferred waterproofing product & method of choice for balcony repairs & restoration.